Watermelon Pips: Sticker'n up a Filing Cabinet - The Angel with A Dirty face. 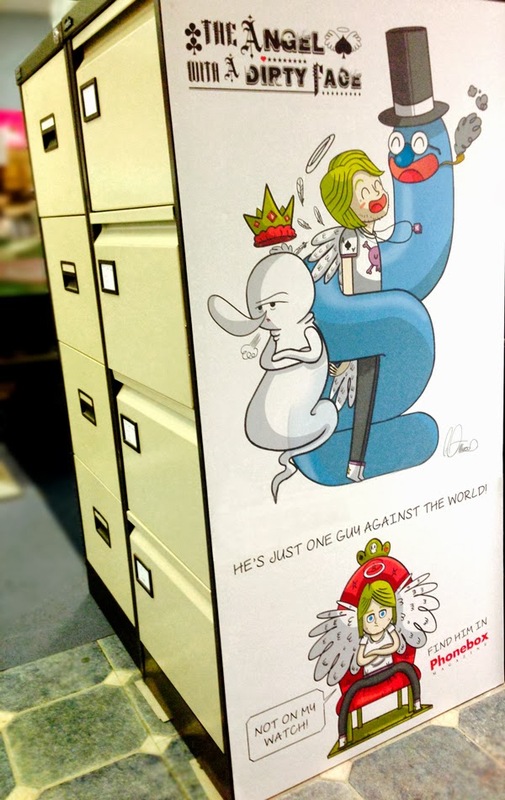 Sticker'n up a Filing Cabinet - The Angel with A Dirty face. I was doing some print test today at work and decided to make use of this crumby old filing cabinet. The Angel with a Dirty Face.